Sweet tea, charming people, a southern drawl. The South is known for a lot of great things. One more that should be added to the list is Southern Grind. As American as baseball or apple pie, Southern Grind has USA flowing through their veins. As a part of the manufacturing industry in the US, as well as being strongly connected to Country Music, Southern Grind’s roots run deep in Peachtree City, Georgia. Their best quality however, is knife making. 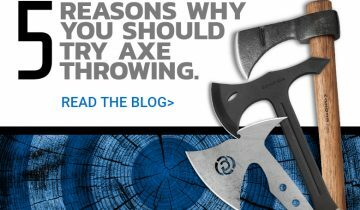 So pull up a rocking chair, snack on that fried okra, and check out our Top 5 Reasons to Love Southern Grind knives. 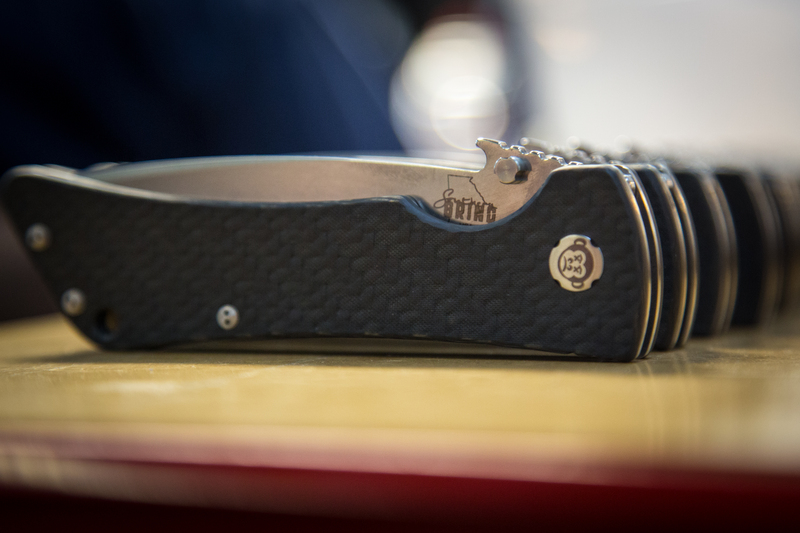 Every Southern Grind knife is conceptualized, designed, and manufactured in the USA. They use high quality materials including S35VN steel, carbon fiber, and titanium. In Southern Grind’s words: “There’s not a single product that leaves our warehouse until it meets the high standards set forth by the man in charge.” That man is Zac Brown, of the Zac Brown Band. 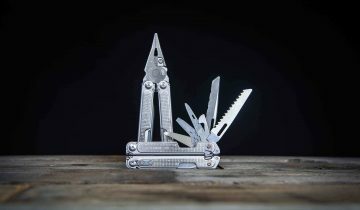 He has long been a knife enthusiast, and with the opening of his Southern Grind metal shop, has created jobs within his community in Georgia. Via the “Will It Cut?” series on the Southern Grind YouTube channel they show the strength of their Bad Monkey and Spider Monkey knives by cutting everyday items, as well as stuff you probably shouldn’t try to cut at home. 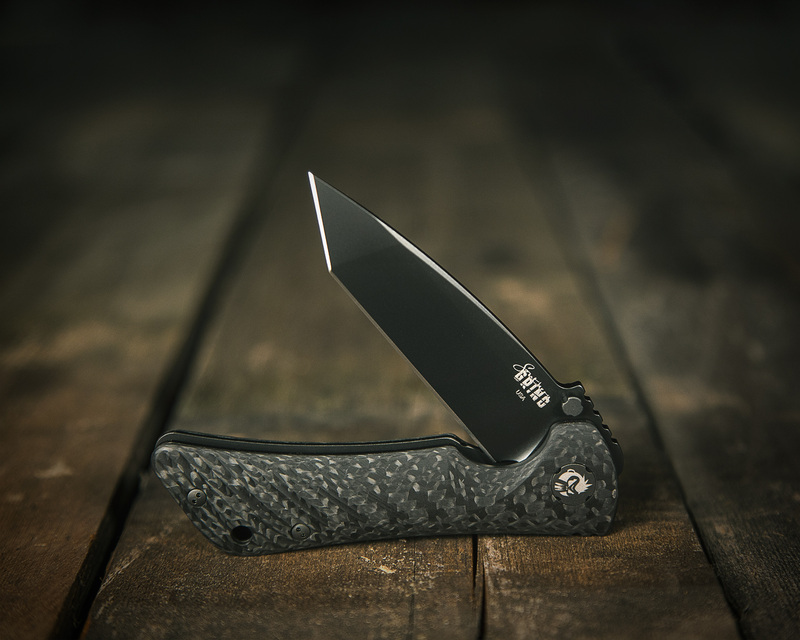 When you see a Southern Grind folding knife, it may look a little uncomfortable to hold at first. But the second you pick it up you realize that it fits snugly in your hand, as well as your pocket. Speaking of the pocket, the clip is short and wide, because in their research adding length to the pocket clip is not important. Width is. The thumb studs have jimping to give you better traction when opening the knife. Some of their models showcase the Emerson Wave feature for quick and easy deployment. There is a laser etched monkey or penguin on the pivot, depending on what model you get. 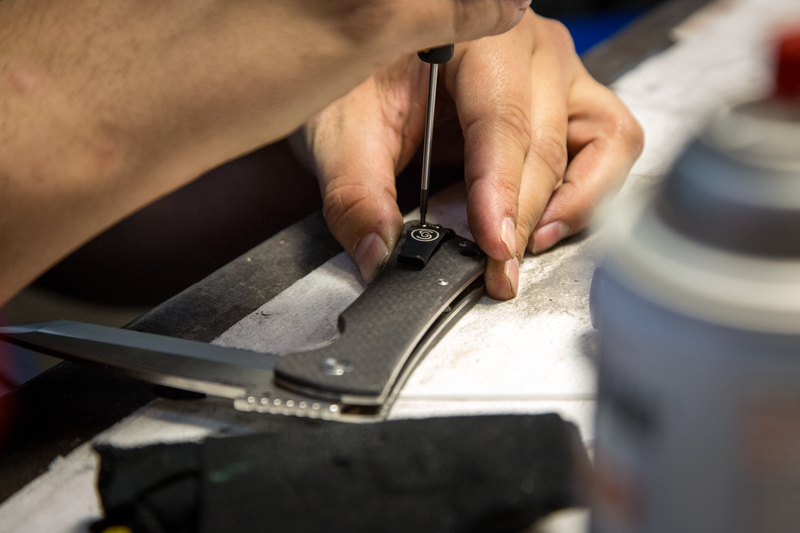 It’s the small details like this that make all the difference when building a high quality, long lasting knife. These guys nailed it. 3-time Grammy award winning multi-platinum artist Zac Brown owns Southern Grind. As far as celebrity endorsements go, that’s a pretty good one. 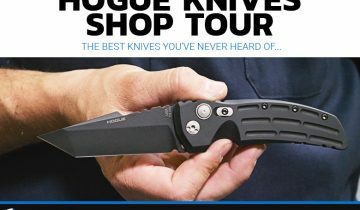 He has long been a “knife guy” and had a hand in some of the knife design. His philanthropic nature and overall “good guy” reputation should be reason enough to make you want to check out a company he has attached his name to. 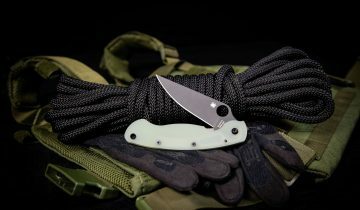 So if you’re looking for a new hard use folder, a great bushcrafting fixed blade, or if you just need a new knife and want to support a great cause, the choice is not a hard one. Check out Southern Grind knives for their Made in the USA craftsmanship, high quality materials, and their charitable qualities.